The retail price for this whisky appears to be around GBP 40. Nose (22/25): The first impression is that of delicious top-shelf, gold premium marshmallows (if there is such a thing! ), in other words - lot of sweet vanilla. Once the vanilla wave has dissipated somewhat I pick up a lot more going on here; soft and fluffy sugary puffs of wood smoke, sea salt, red berries and mild oakiness. Taste (22/25): Sweet, rich and clean. Grandma's homemade caramel pudding, pepper, fresh vanilla, salt, mild caramel og hints of smouldering ashes. Red berries and a winey touch. Finish (20/25): Keeps going as it started. Medium long finish. Warm. More spicy towards the end, especially pepper and ginger. 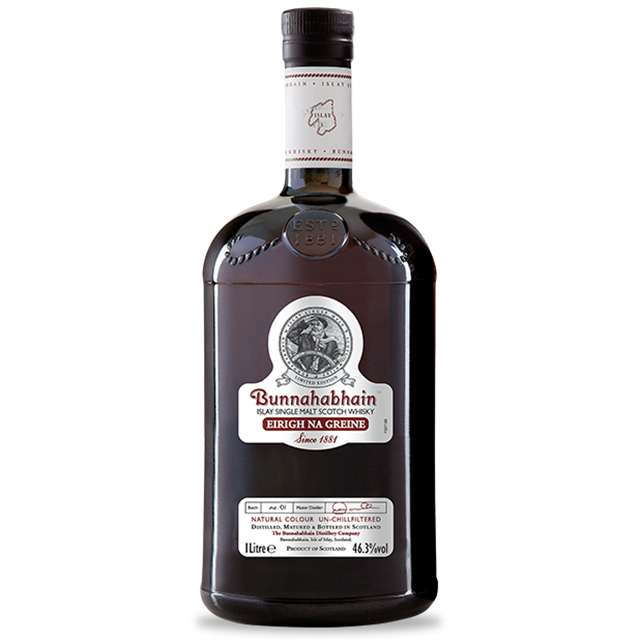 Balance (21/25): I have not always been very fond of the Travel Retail offerings from Bunnahabhain, although I am a big fan of the distillery overall. With the Bunnahabhain Eirigh Na Greine I feel they have really come up with a great dram. It is not on level with the new and sublime Ceòbanach, but that was not to be expected.